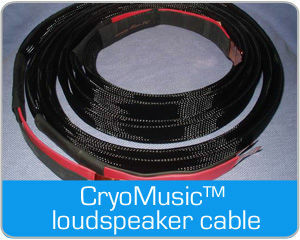 We at CryoMusicSystems are dedicated music lovers and engineers who have developed a range of cryogenically treated products and services specifically for audiophiles and musicians. We pride ourselves on offering products and services that provide significant sonic benefits at affordable prices. 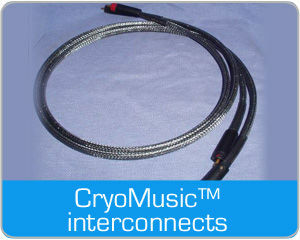 We acknowledge Ed Meitner of EMM Labs formerly of Museatex and Charles Beresford of Cryogenics International who pioneered the use of cryogenics in audio. - a selection of new CryoMusic™ treated CD's and music DVD's. Some of the comments made by our delighted customers of our audio products and services include "viceless, state of the art, stress free, dynamic, so smooth, blackness, lack of grain, more definition, lush, detailed". The sonic benefits of our products compare favourably to well-known brands that are 2 to 4 times the price. The CryoMusic™ process comprises of a proprietary Dry & Deep Cryogenic Treatment created specifically for audiophiles and music lovers. The proprietary chambers in our process are designed to achieve low thermal mass and extremely low thermal loss, reaching the low temperatures required. Unlike other competitors, our process is completely 'dry', avoiding the use of dangerous liquid nitrogen. Our metal products also undergo a post-heat treatment. The complete process takes 48 hours to complete, ensuring that the optimum sonic benefits are achieved and the effect is permanent. Yes. The treatment permanently improves the material's molecular structure. Will the treatment improve the life of components? Theoretically, yes, as the treatment eliminates residual stresses and 'hot' spots of the material improving the structural toughness of the material. All materials consist of molecules that vibrate. At 0 degrees Kelvin (- 273 degrees Celsius), the vibration energy of molecules are at zero state. By slowly reducing the temperature to close to 0 degrees Kelvin, the molecules re-align themselves and re-pack themselves to a more uniform and denser structure. This eliminates any in built stresses and 'hot spots caused from the conductors manufacture, improving the structural toughness, speed of response, conductivity and bandwidth of the material. Yes. The sonic benefits are easily detectable using the most sensitive instrument - your ears. There are also many papers available which quantify the extended life of tools. 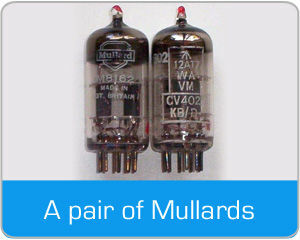 In vacuum tubes, the mutual conductance and anode current increases, hence the need to reset the bias of tube power amplifiers.